Le Hameau du Rocher Blanc was built on the site of the old car park in Chantemerle at the north end of the village. There are two buildings with the highly original names; Hameau du Rocher Blanc 1 and Hameau du Rocher Blanc 2. The two buildings are 100m apart. Within the buildings there are 102 apartments with a communal heated indoor swimming pool, gym and sauna. These are modern apartments that were built around 2009 and have been taking guests since 2010. The buildings are way beyond the monstrosities that were built here in the 1960s and 70s. Although they are mainly the block and concrete type construction they are timber clad and look great. The apartments have balconies and terraces and either over look the mountains to the east or the valley to the west. It is just a 200m walk to the ski lifts, the centre of Chantemerle and all the shops, restaurants and bars. The apartments have kitchenette, which includes a microwave, electric kettle and dishwasher. 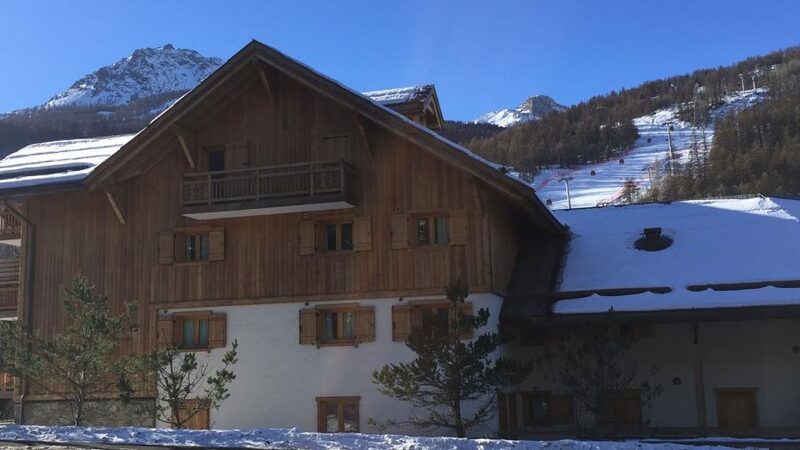 The apartments are built in a chalet style on 3 or 4 floors, with lifts. 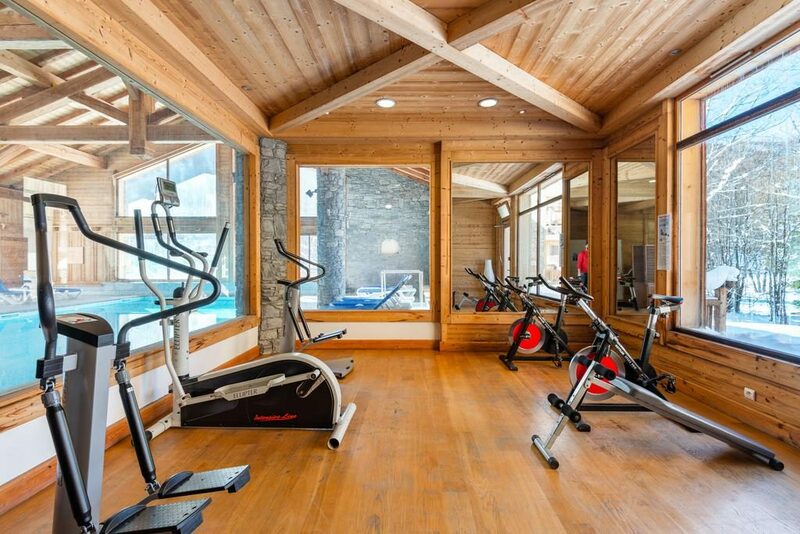 Facility wise I don’t think you can get much better: Indoor heated swimming pool, sauna and steam room, gym, ski lockers, communal lounge, pool table, WiFi etc. It’s all there. The apartments range from a small studio for 2 up to a 4 bedroom split level apartment for 10. Television is also provided in all apartments. WiFi is available in all apartments. If you are happy to cater for yourself and want to stay very close to the heart of Chantemerle and the main ski station of Serre Chevalier, Le Hameau du Rocher Blanc is an excellent choice. The staff at Le Hameau du Rocher Blanc speak English and French.